9 Piece “Fountain of Youth” Set! 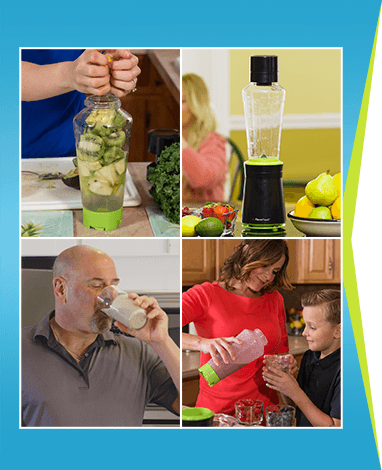 Includes: FlavorFresh™ Motor Base, Quad Blade Blending Attachment, Vacuum Pump, Main Jar, Flat Lid, Manual and Recipe Guide. Whole Food Juicing is The Fountain of Youth! 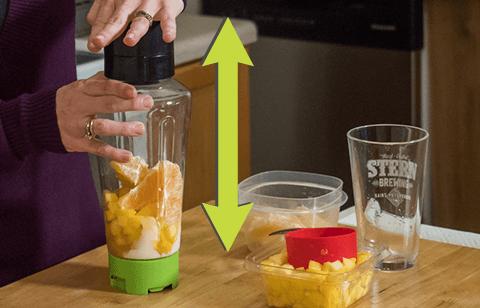 Compact – Unlike other blenders, juicers and grinders, the FlavorFresh doesn’t take up lots of kitchen space. Instead its compact design is perfect for storing away or leaving on the counter top. Oxygen is The Enemy of Freshness! 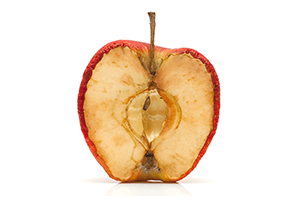 Cut an apple open and it turns brown, loses flavor, and nutrients get degraded. That’s oxidation and that is what happens to your juice when you use a traditional juicer! 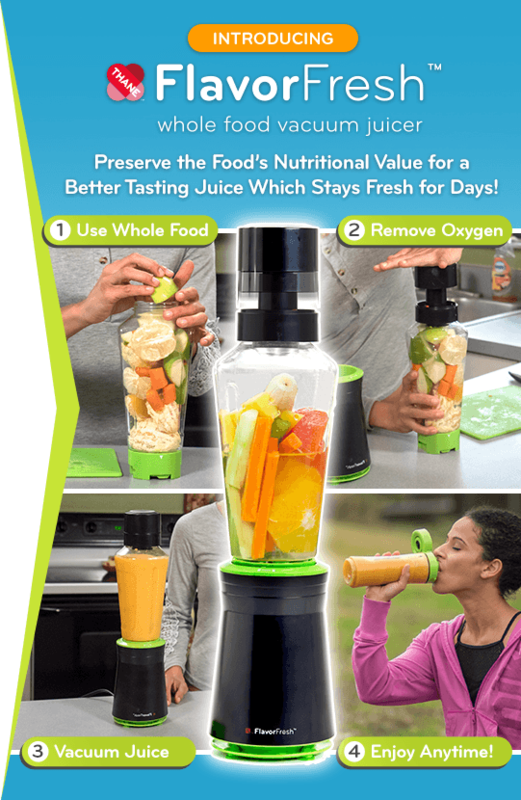 Because you pump out oxygen with FlavorFresh™, oxidation is reduced and juices look and taste better! Just look at the difference! Best of all, juices made with FlavorFresh™ stay fresher, longer. Just look at these identical juices after 2 hours. Which would you rather drink? 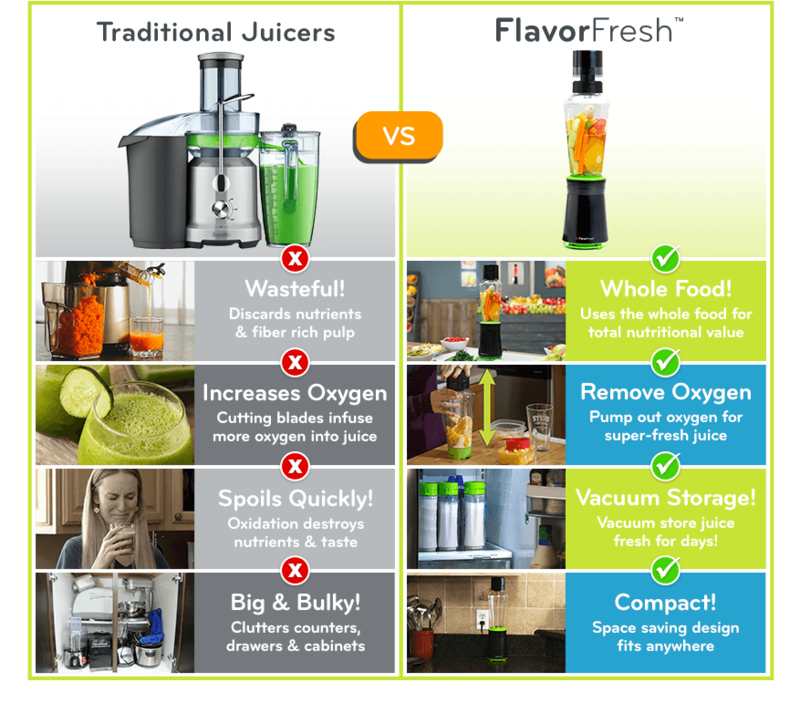 What's the FlavorFresh™ Whole Food Vacuum Juicer's secret to Delicious, Nutritious Juice? A few quick pumps on the innovative deoxidation pump removes oxygen from the container to slow-down the oxidation process. 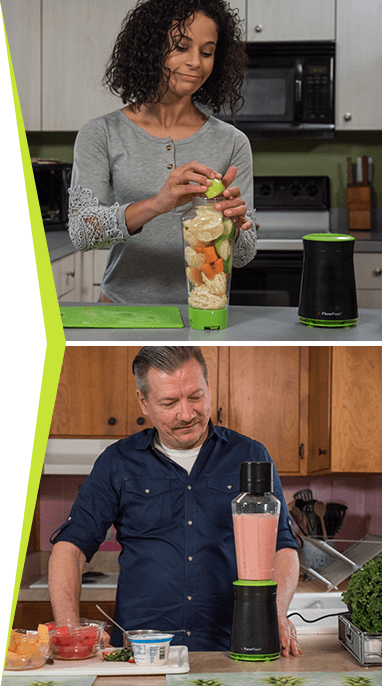 Then its super sharp, multi directional blades and ultra-powerful 23,000 RPM motor liquefies whole foods in seconds so you enjoy all the natural, life changing benefits. The result? Delicious juice with rich colour, smooth texture, less foam, and a preserved nutrient content. 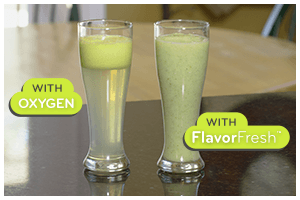 Fresh Nutritious Juice Anytime Anywhere with FlavorFresh™! 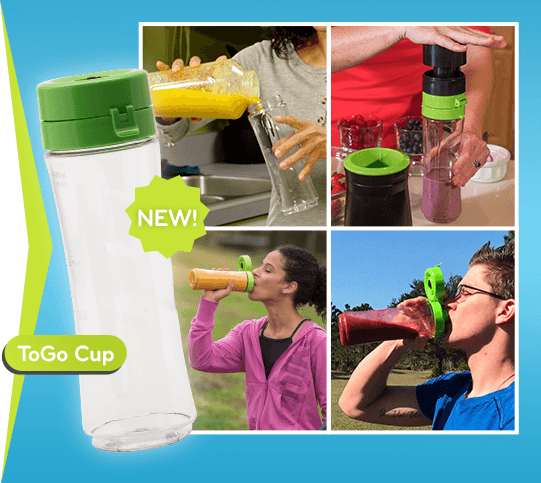 Order today and we'll also include this convenient “ToGo Cup” with handy multi function lid. Pour in your juice, pump out oxygen and take it with you for a healthy breakfast or after workout snack. Or just keep it in the fridge for fresh juice when you want it most! 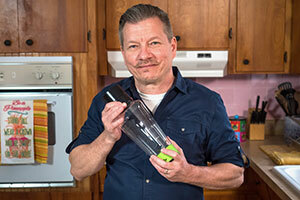 With the FlavorFresh Whole Food Vacuum Juicer I can take my juices and my smoothies with me and know they are fresh! I pump out oxygen, and place it in the fridge. When I take it out in the middle of the day I know it's going to be just as delicious as when I first blended it. Since I make the juice myself, I know it is free from preservatives and additives. Best of all every time I open that drink, you hear that “whoosh” and I feel like I'm getting a new, fresh, healthy drink. 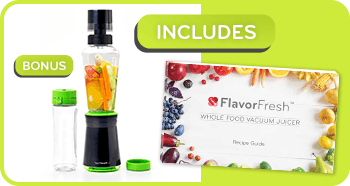 FlavorFresh Whole Food Vacuum Juicer lets me have a bigger variety of vegetables in my diet. I am now eating kale and spinach, things I didn’t like before. But with the FlavorFresh recipes I love them now. 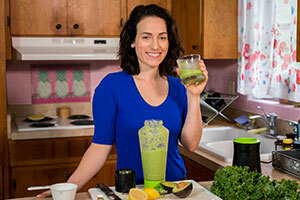 FlavorFresh showed me how to drink natural, whole food juices that are good for me and my body! 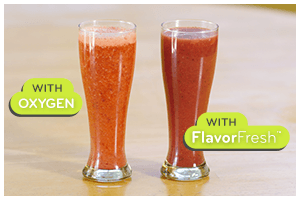 Live Better with FlavorFresh™ Juices! BONUS! These nutritious recipes and more included! 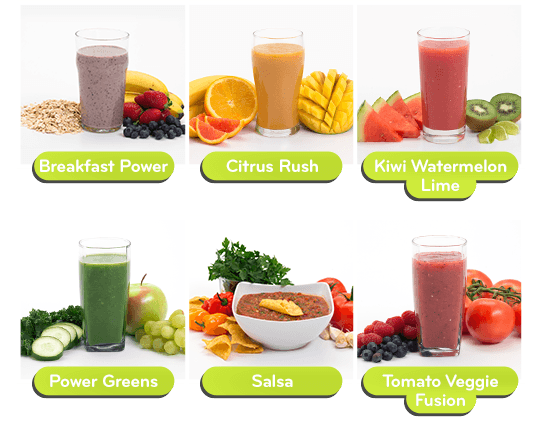 Revitalise Your Body with Fresh, Delicious, Nutritious Whole Food Juice TODAY! 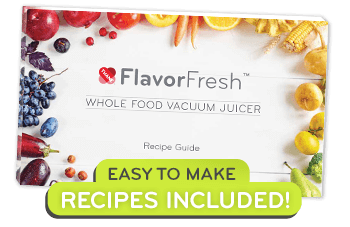 FlavorFresh™ Motor Base, Quad Blade Blending Attachment, Vacuum Pump, Main Jar, Flat Lid, Manual and Recipe Guide. Try it in Your Home For 60 Days! “Thane”, FlavorFresh™ and related logos and variations are trademarks or registered trademarks, in Canada and/or other countries, of Thane IP Limited and/or its affiliated companies.